... I'm reminiscing about the one explicitly-Christmas-themed City of... character I had. Although, that said, Jen Rossum occasionally tried to get into the holiday spirit too. 1. "RE: This holiday season..."
2. "RE: This holiday season..."
This I've got to hear. Link? 3. 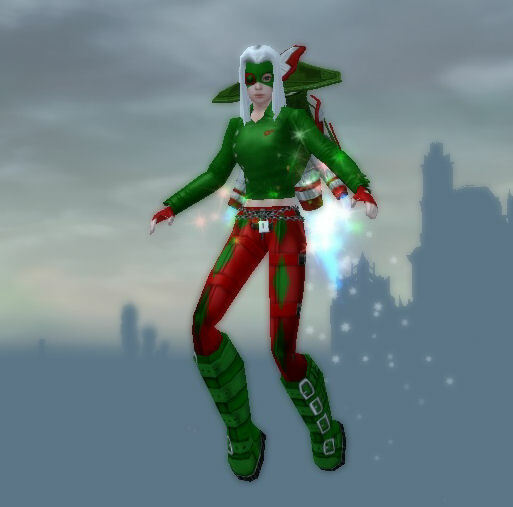 "RE: This holiday season..."
There was a City of Heroes mention in.. Heroes. (Which is just being screened for the first time ever in this house). It actually made the two of us who played CoH get all misty eyed.